Martin Abern (né Martin Abramowitz), the son of a Jewish peddler, was born in Bessarabia, Russia, on 2nd December, 1898. The family emigrated to the United States in 1902, and settled in Minneapolis where Abern attended local public schools. Abern developed socialist views and in 1915 he joined the Socialist Party of America. Soon afterwards he became a member of the Industrial Workers of the World. During this period he received two years education at the University of Minnesota. Abern was totally opposed to the United States involvement in the First World War and the Espionage Act that was passed by Congress in 1917. It prescribed a $10,000 fine and 20 years' imprisonment for interfering with the recruiting of troops or the disclosure of information dealing with national defence. Additional penalties were included for the refusal to perform military duty. Over the next few months around 900 went to prison under the Espionage Act. Criticised as unconstitutional, the act resulted in the imprisonment of many of the anti-war movement. This included the arrest of Abern and other left-wing political figures such as Eugene V. Debs, Bill Haywood, Philip Randolph, Victor Berger, John Reed, Max Eastman and Emma Goldman. The right-wing leadership of the Socialist Party of America opposed the Russian Revolution. However, those members who disagreed with this policy formed the Communist Propaganda League. In February 1919, Jay Lovestone, Bertram Wolfe, Louis Fraina, John Reed and Benjamin Gitlow created a left-wing faction that advocated the policies of the Bolsheviks in Russia. On 24th May 1919 the leadership expelled 20,000 members who supported this faction. The process continued and by the beginning of July two-thirds of the party had been suspended or expelled. In September 1919, Martin Abern, Jay Lovestone, Earl Browder, John Reed, James Cannon, Bertram Wolfe, William Bross Lloyd, Benjamin Gitlow, Charles Ruthenberg, Mikhail Borodin, William Dunne, Elizabeth Gurley Flynn, Louis Fraina, Ella Reeve Bloor, Rose Pastor Stokes, Claude McKay, Max Shachtman, Michael Gold and Robert Minor, decided to form the Communist Party of the United States. Within a few weeks it had 60,000 members whereas the Socialist Party of America had only 40,000. The growth of the American Communist Party worried Woodrow Wilson and his administration and America entered what became known as the Red Scare period. On 7th November, 1919, the second anniversary of the revolution, Alexander Mitchell Palmer, Wilson's attorney general, ordered the arrest of over 10,000 suspected communists and anarchists. These people were charged with "advocating force, violence and unlawful means to overthrow the Government". Palmer and his assistant, John Edgar Hoover, found no evidence of a proposed revolution but large number of these suspects were held without trial for a long time. The vast majority were eventually released but Emma Goldman, Alexander Berkman, Mollie Steimer, and 245 other people, were deported to Russia. In November 1920, the US Department of Justice attempted to make Abern a test case for the deportation of alien radicals citing Communist Party membership as sole grounds for action. He was saved from deportation at the last minute by a court order obtained by his attorney. James Cannon, the chairman of the American Communist Party, attended the Sixth Congress of the Comintern in 1928. While in the Soviet Union he was given a document written by Leon Trotsky on the rule of Joseph Stalin. Convinced by what he read, when he returned to the United States he criticized the Soviet government. As a result of his actions, Cannon and his followers, including Abern, were expelled from the party. Abern now joined with other Trotskyists, including Cannon and Max Shachtman to form the Communist League of America (CLA). They also published the journal, The Militant. Cannon later recalled. "I never deceived myself for a moment about the most probable consequences of my decision to support Trotsky in the summer of 1928. I knew it was going to cost me my head and also my swivel chair, but I thought: What the hell-better men than I have risked their heads and their swivel chairs for truth and justice. Trotsky and his associates were doing it at that very moment in the exile camps and prisons of the Soviet Union. It was no more than right that one man, however limited his qualifications, should remember what he started out in his youth to fight for, and speak out for their cause and try to make the world hear, or at least to let the exiled and imprisoned Russian Oppositionists know that they had found a new friend and supporter." According to Joseph Leroy Hansen: "It was not an easy decision. 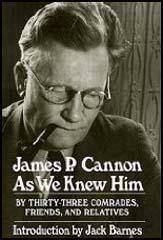 Cannon realized, perhaps better than anyone outside of the Russian Trotskyists, that it would mean ostracism, the breakup of old friendships, and the end of personal relations with many comrades he had known in common battles for years. However, it was politically necessary to make the turn. For Jim this consideration was paramount. Nothing personal could be permitted to stand in the way of moving ahead in defense of Trotsky's position and against Stalin's bureaucratic gang." In December 1933, a group of radicals including Sidney Hook, Louis Budenz, James Rorty, V.F. Calverton, George Schuyler, James Burnham, J. 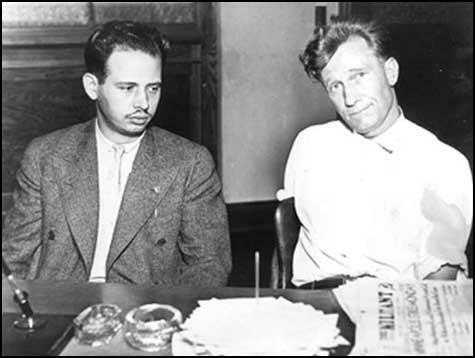 B. S. Hardman and Gerry Allard formed the American Workers Party (AWP). Hook later argued: "The American Workers Party (AWP) was organized as an authentic American party rooted in the American revolutionary tradition, prepared to meet the problems created by the breakdown of the capitalist economy, with a plan for a cooperative commonwealth expressed in a native idiom intelligible to blue collar and white collar workers, miners, sharecroppers, and farmers without the nationalist and chauvinist overtones that had accompanied local movements of protest in the past. It was a movement of intellectuals, most of whom had acquired an experience in the labor movement and an allegiance to the cause of labor long before the advent of the Depression." Soon after its formation of the AWP, leaders of the Communist League of America (CLA), a group that supported the theories of Leon Trotsky, suggested a merger. Sidney Hook, James Burnham and J. B. S. Hardman were on the negotiating committee for the AWP, Abern, Max Shachtman and Arne Swabeck, for the CLA. Hook later recalled: "At our very first meeting, it became clear to us that the Trotskyists could not conceive a situation in which the workers' democratic councils could overrule the Party or indeed one in which there would be plural working class parties. The meeting dissolved in intense disagreement." However, despite this poor beginning, the two groups merged in December 1934. Martin Abern died from a heart attack in April 1949. The Leninist-Stalinist-Trotskyist view was fatal to any notion of democratic socialism. It was fatal because it identified the dictatorship of the proletariat with the dictatorship of the Communist Party-and a minority party at that-over the proletariat, and all other groups and classes. The position is explicit in the canonic writings of Lenin and Stalin and in the practices of every regime that has come to power under the aegis of Leninism or of Marxism as Lenin interpreted it. In a long series of writings, I have shown the way in which this identification of the dictatorship of the proletariat with the dictatorship of the Party prepared the way for totalitarianism and the Gulag Archipelagos of the world. Somewhat to my surprise, I discovered that this identification of the dictatorship of the proletariat with the dictatorship of the Party was shared, and sometimes militantly defended, by the other major factions of the Communist movement. The conception of workers' democracy became the watchword of the American Workers' party alone. The first surprise was supplied by the Trotskyists, who had won considerable sympathy among left-moving intellectuals by their criticisms of the repressive practices of the Stalinist regime. This brings me a little ahead of my story. After the American Workers' Party was launched, the Trotskyist Communist League of America proposed a merger of the two organizations. Burnham, J. B. S. Hardman, and I were on the negotiating committee for the AWP, Max Shachtman, Arne Swabeck, and Martin Abern for the CLA. At our very first meeting, it became clear to us that the Trotskyists could not conceive a situation in which the workers' democratic councils could overrule the Party or indeed one in which there would be plural working class parties. The meeting dissolved in intense disagreement. 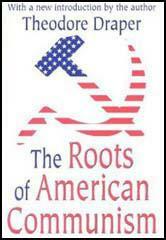 On the eve of the merger between the two organizations (the Trotskyists changed their tune completely at subsequent meetings and hypocritically professed agreement with us), I published an article entitled "Workers' Democracy," which argued for a "commonsense democratic way out of the impasse of capitalism" and maintained that the ideals enshrined in the American revolutionary tradition, "equality of opportunity," "the equal rights of all citizens to life, liberty and the pursuit of happiness," "peace and security for the masses" could best be realized under socialism. Despite this emphasis on democracy, it suffered from the old illusion that the fundamental conflict was between socialism and capitalism rather than between democracy and totalitarianism, but its emphasis on democracy, and the social and economic requirements for its fulfillment, were unmistakable. The article provoked a strong response from Will Herberg, the chief ideologist, after Bertram Wolfe, of the Lovestone Communist Opposition. Herberg openly expressed the position that the outcome of workers' democracy could not be permitted to take its course if the consequences of that course, in the eyes of the Communist Party or its leadership, did not further the health of the revolution. It now became apparent why, to all Leninists, the spontaneous outcry of the Kronstadt sailors and their supporters, "The Soviets without the dictatorship of the Communist Party," was counterrevolutionary! Although Muste claimed, after the merger with the CLA, to have been converted to the revolutionary Marxist-Leninist doctrine, I was never persuaded that he truly understood it or was motivated by it. He was first and foremost a moralist, not because he was a preacher or because of his religious training, but because he viewed human actions simply as right or wrong, regardless of context. To his credit he shrugged off expressions like "historically determined" or "organizationally necessary," but to be indifferent to what was possible or probable was something else again. He rarely thought through a position but would adopt one on moral grounds that were rarely affected by the facts in the case. He had been an ardent pacifist. When he became a revolutionary Marxist, he publicly abandoned his pacifism and, among us, his belief in Christianity. He could not have been very well versed in either one or the other, despite his religious training, for when he finally vomited up his hastily swallowed Marxism, he returned to his early beliefs with the passion of someone newly converted. It is very rare that, as individuals develop and abandon one position for another in a continuing series of progressions, they return to an earlier view. But it sometimes occurs. In Muste's case, his early abandonment of pacifism and Christianity could not have been very reflective.